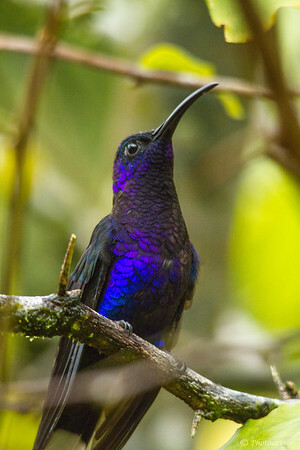 This Violet Sabrewing hummingbird(Campylopterus hemileucurus), the largest hummingbird outside of South America, was captured in forests of Costa Rica near Tortuguero National Park. Just gorgeous Violet Sabrewing--must have been a wonderful Costa Rica trip. This is the most stunning hummingbird I have ever seen. Outstanding shot! very sweet picture! Love the color! Great pose and stunning colts.